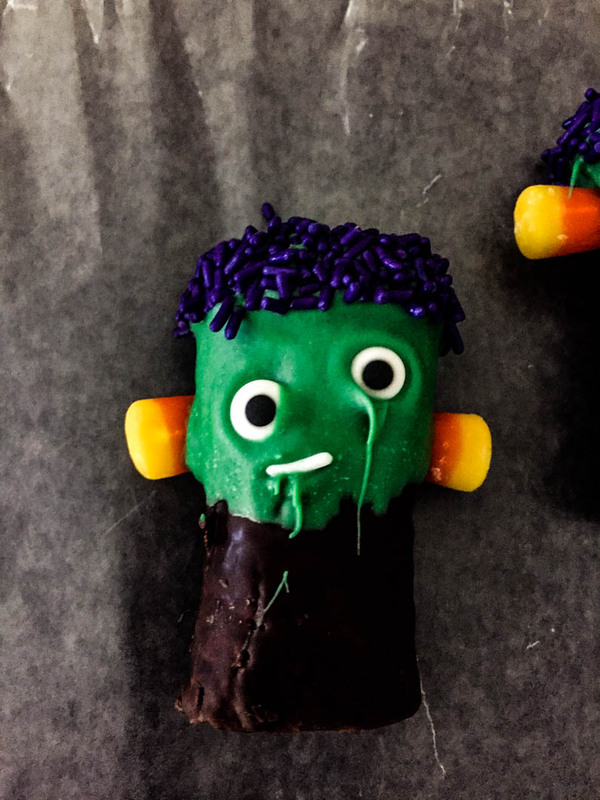 Who wouldn’t love a Frankenstein Treat? I’ve yet to post anything for Halloween this season, mainly because everyone else seems to have that covered. Plus I’ve been super busy. I put this quick iPhone video together to share a fun Frankenstein Treat for Halloween. 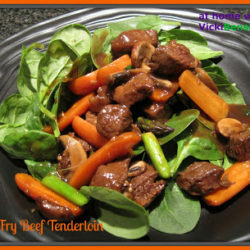 This treat comes together in just a few minutes and is perfect for all ages to create. No matter how you create these they’re sure to please everyone. 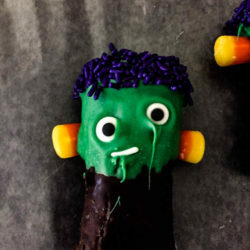 As you can see my Frankenstein Treat definitely has some flaws, but I think that’s what makes it so cute. Give him 2 eyes or make him look like cyclops. My Frankenstein’s eyes are lopsided – not on purpose but hey, it’s all in fun. If you want your Frankenstein to come out absolutely flawless, I’d suggest using tweezers to pick up the small pieces to apply. Just remember though when creating these with children – all creations are wonderful! That’s what makes it a fun project. Anything goes! Below is my video taken from my iPhone. While not my best video I think you’ll get the idea. 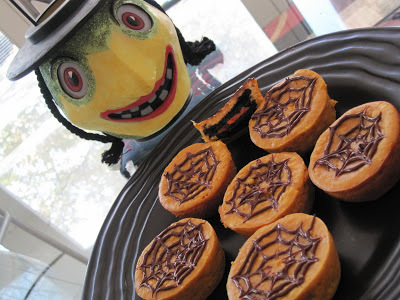 For the specifics on this fun Frankenstein Treat view the recipe below. 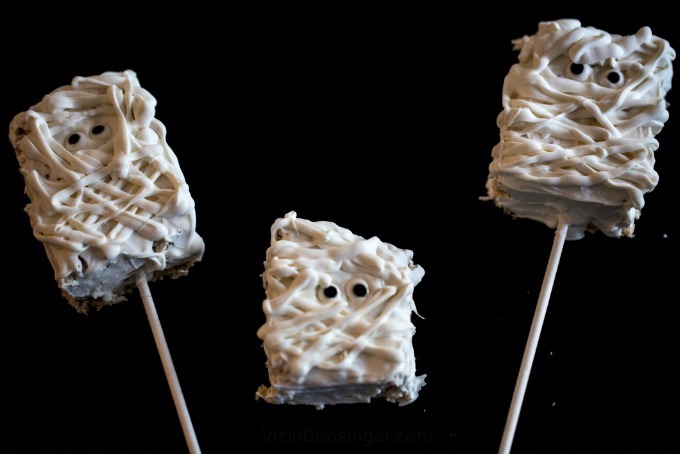 For a fun, quick & easy Halloween treat the entire family can create together, try making this Frankenstein Treat! 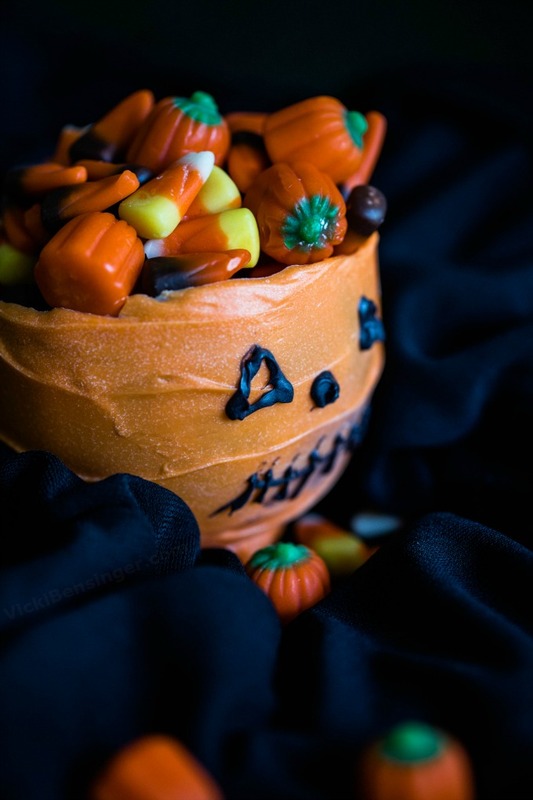 Set out all ingredients in containers ready to use once Candy Melts have been melted. Place 1/2 bag of green candy melts in a microwave safe bowl. Heat for 1 minute then stir. If needed heat for additional 30 second increments stirring in between, until candy melts are smooth. If thinning is needed add a few Paramount Crystals and stir. Pour melted candy melts into a narrow but short container, like a small orange juice glass. Doing one Frankenstein Treat at a time dip Ho-Ho's into candy melts covering half of a Ho-Ho. Remove and immediately dip the top of a dipped Ho-Ho into Purple Jimmies. Place eyeballs on Frankenstein and white Jimmies for a mouth. Press Candy Corn into each side of Frankenstein's head. 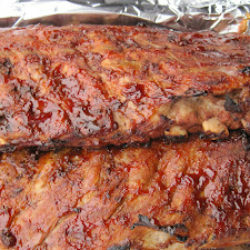 Set aside to dry on parchment paper. 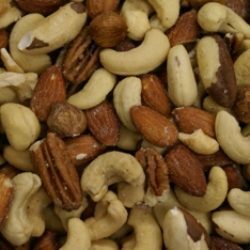 Can be individually wrapped for gift giving, or eaten immediately! Hungry for more scary treats? Savor these! My family would love these! So easy and they love Ho-Hos! I know they’re super easy. 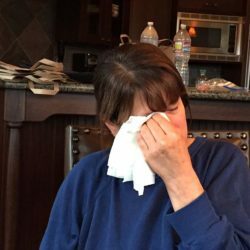 I was almost embarrassed to post this video and Frankenstein treat. We all strive to post the best videos and photos of everything. I’ve been so busy I decided it really didn’t matter. After all it’s all for fun and sometimes perfection doesn’t matter – but the fun of creating it does. Hope you have a fun Halloween and get lots of ghosts and goblins knocking at your door! Such a fun and festive treat, Vicki. 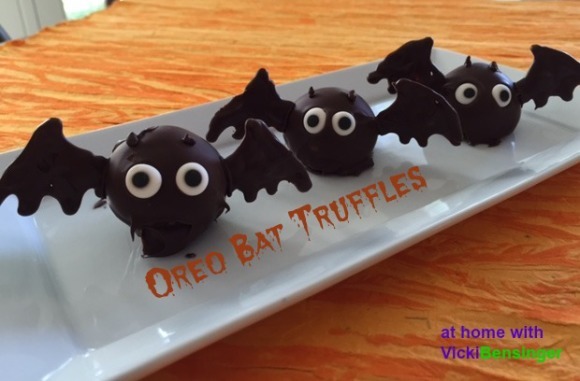 So fun Vicki, kids would LOVE these!